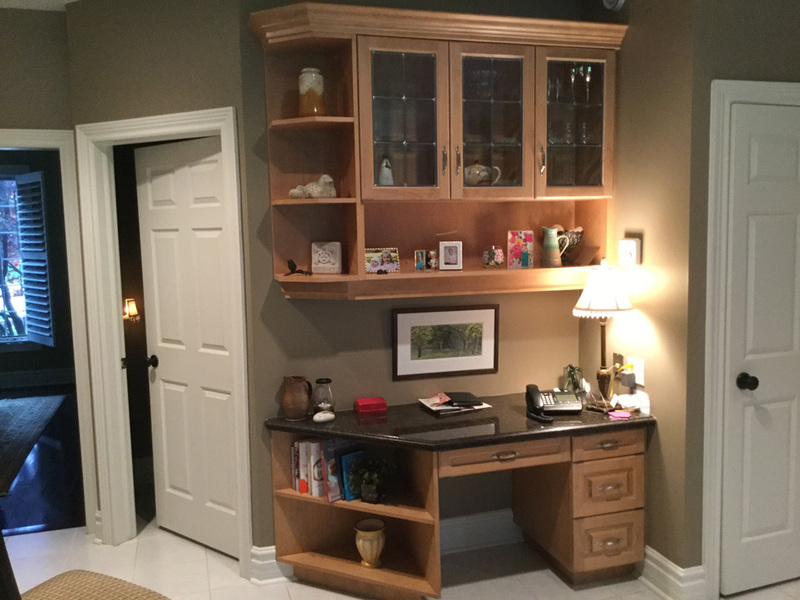 Our clients Rick and Arlene walked into the Burlington Showroom with a clear vision of how they wanted to transform their space. 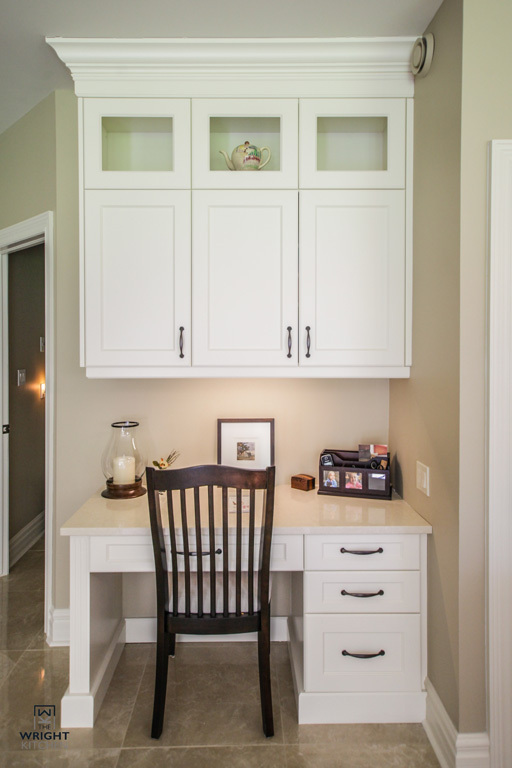 After speaking with them and spending some time in the space, I understood they needed some guidance to maximize the storage space while still creating an open, airy feeling. 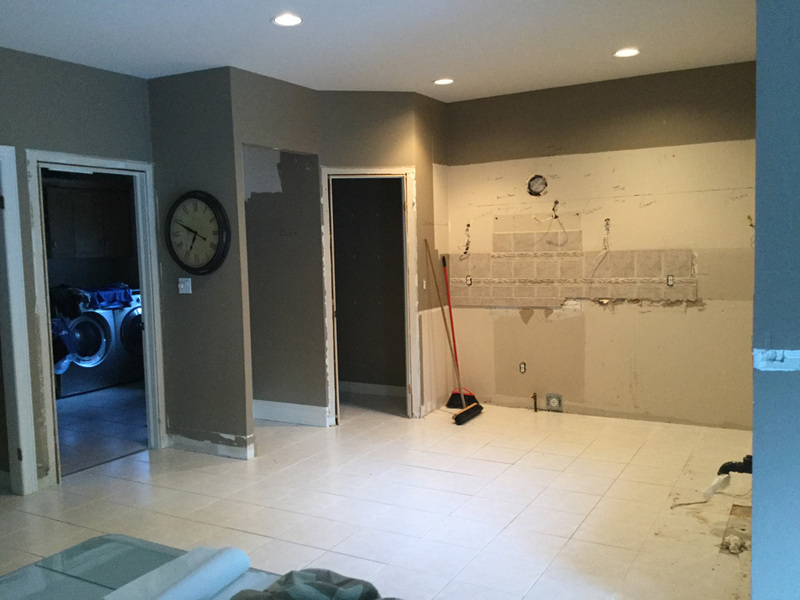 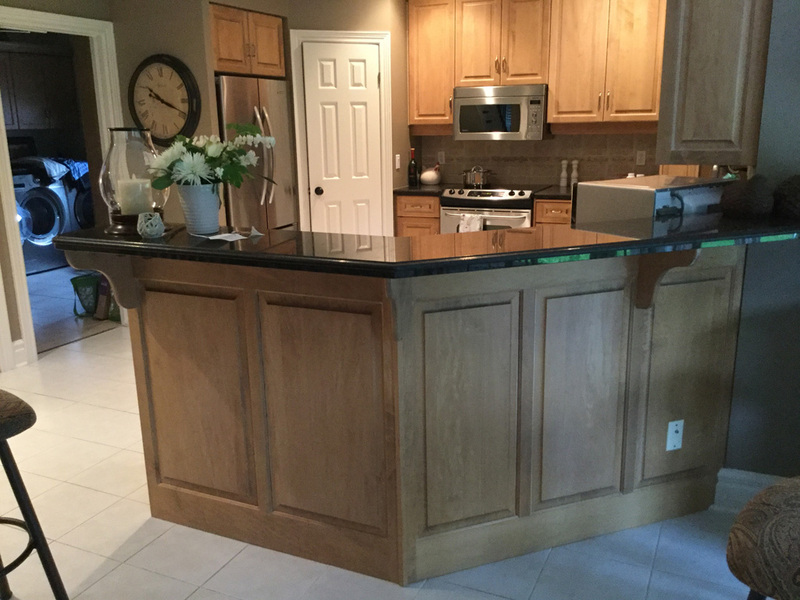 We measured the space and built the kitchen in our design software 20/20. 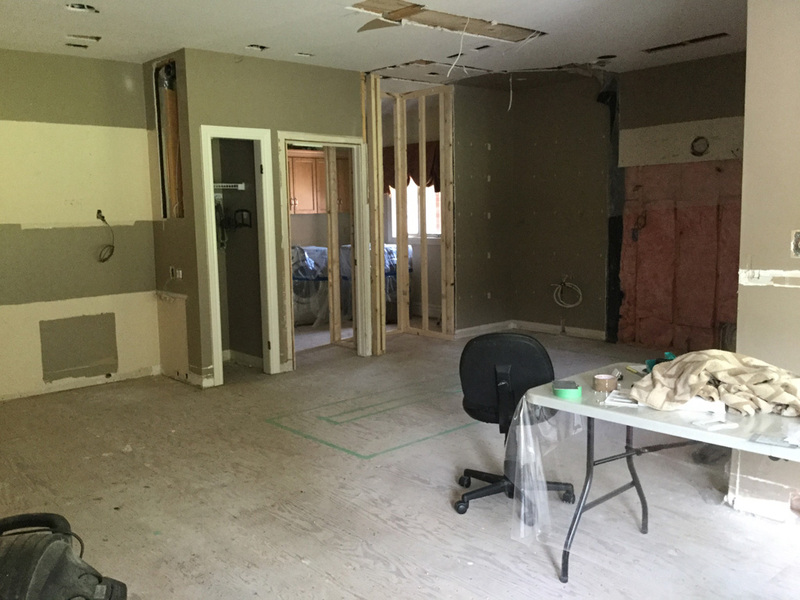 Once we got deeper into the design we all agreed that the corner pantry needed to be removed to give the back wall more counter space. 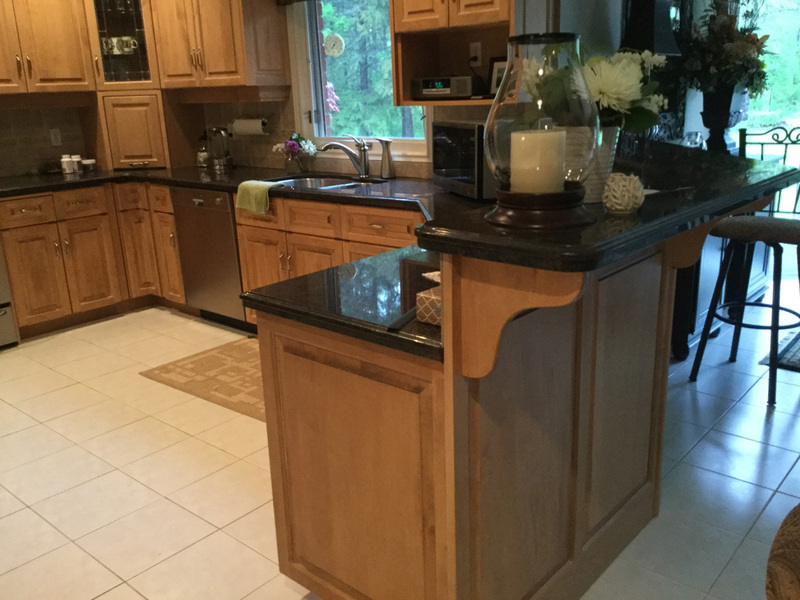 Working together we made some changes that really improved the overall design, including a larger window, stacked glass cabinetry, a larger than planned island and Arlene’s very favorite, the functional desk area. 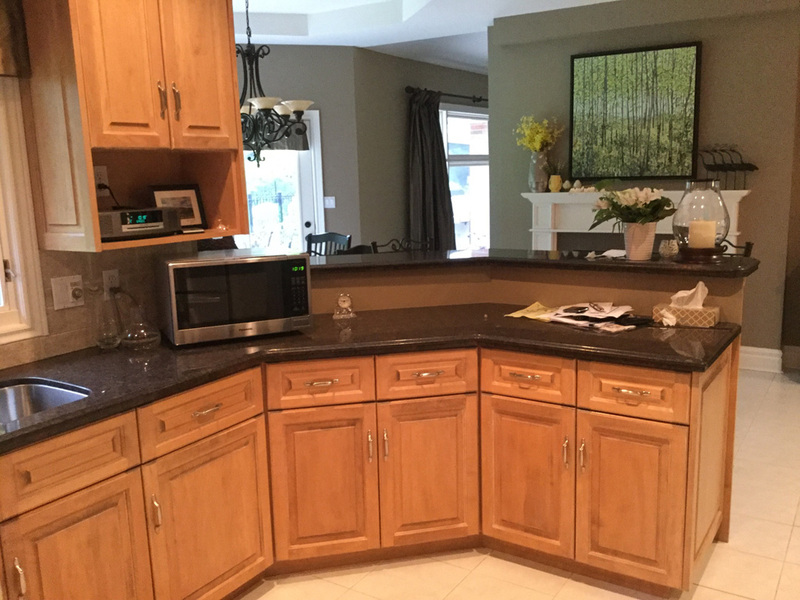 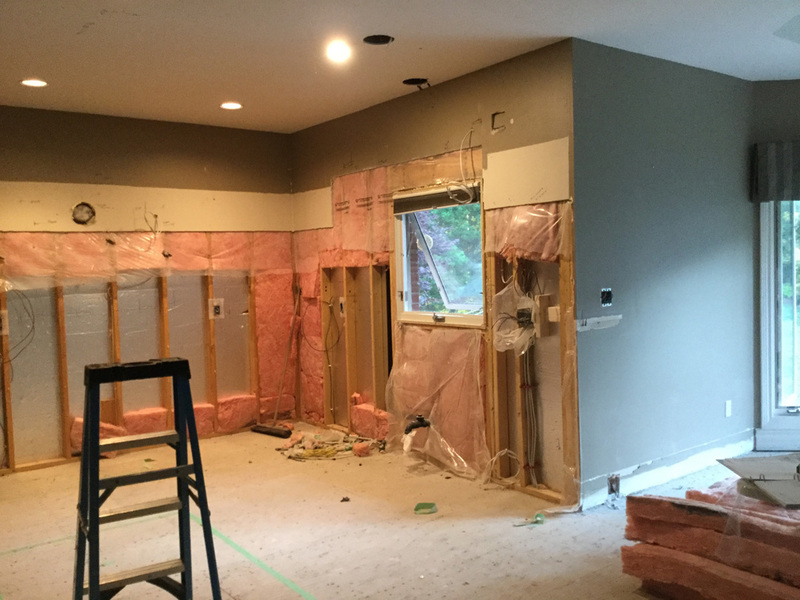 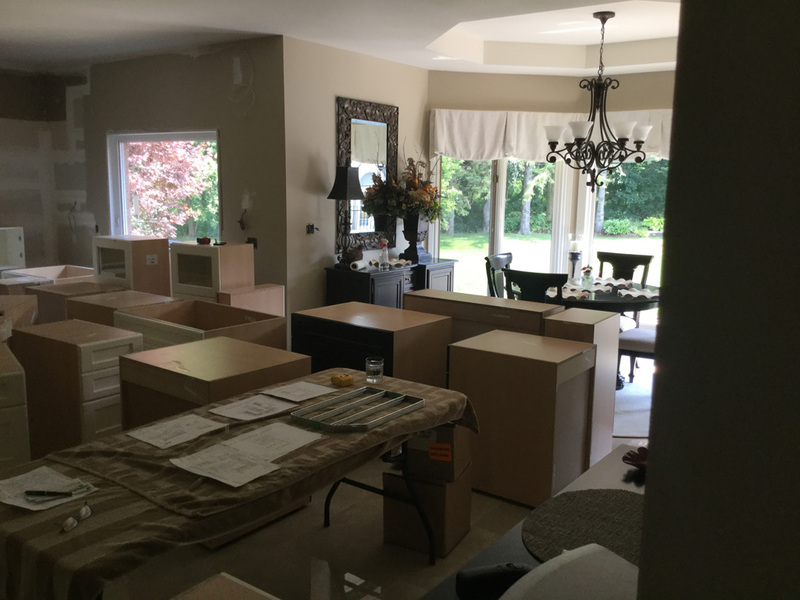 Rick took care of arranging all the trades (including Habitat for Humanity to take away existing cabinets) and doing a lot of the renovation himself while Arlene and I enjoyed picking out the colours and making decisions on features and finishes. 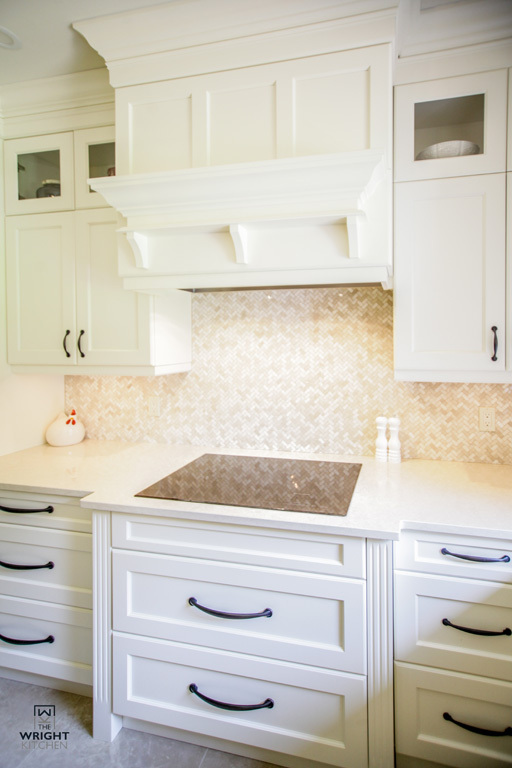 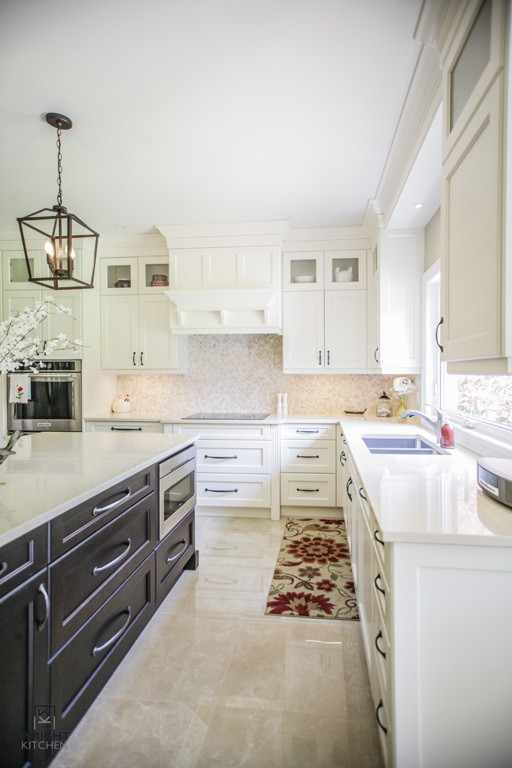 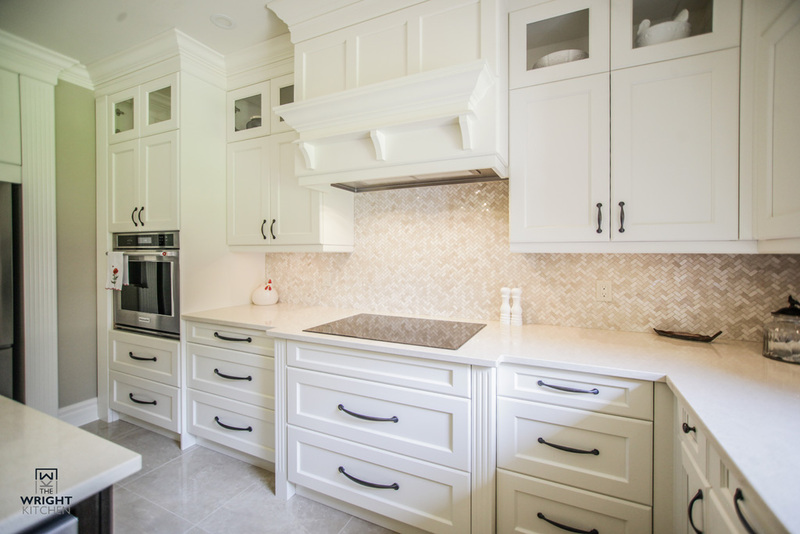 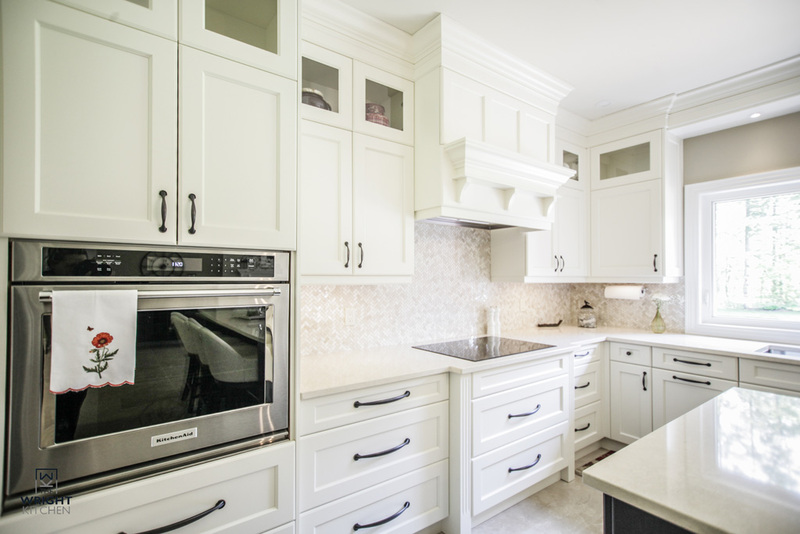 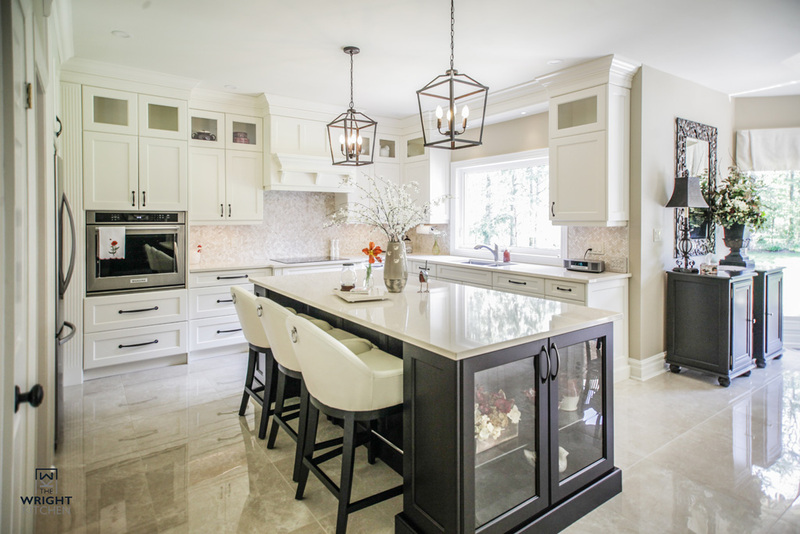 We decided on a custom paint colour for the cabinetry and matched it beautifully to the Cambria countertop – Fairbourne. 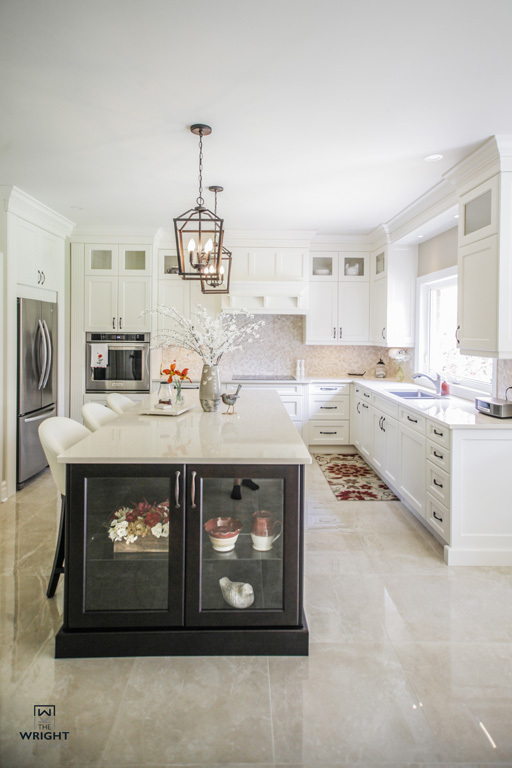 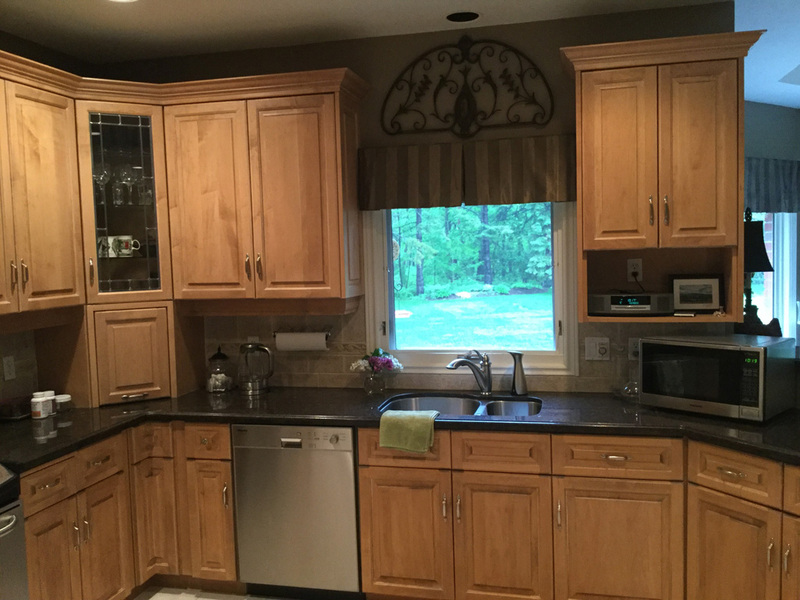 Looking at the completed project, I believe we were successful in creating a timeless, elegant kitchen that will be soon filled with new memories. 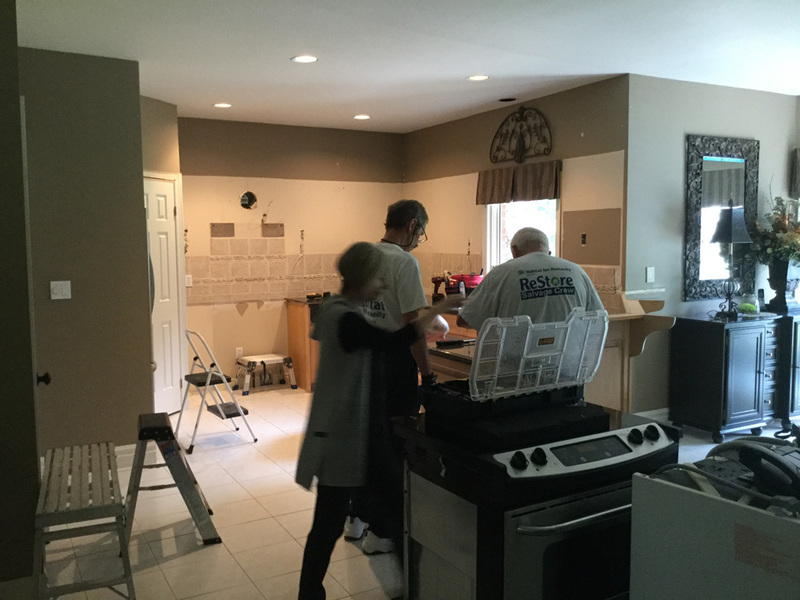 Thank you to Rick and Arlene for trusting me to build your dream kitchen!